I'm currently sat in a Scandi themed apartment in Dallas, feeling incredibly inspired. Life can be negative and I do find we live in a world full of people who would rather pull us down than lift us up. This weekend was different though. This weekend I spent three days at a ‘blogging boot camp’ let’s call it, with some global leaders in the world of influencer marketing, blogging and more. I wandered around a hotel where women empowered each other every single day rather than ripping each other to shreds. It's something I'd like to see more of and sadly, isn't something I'm used to. 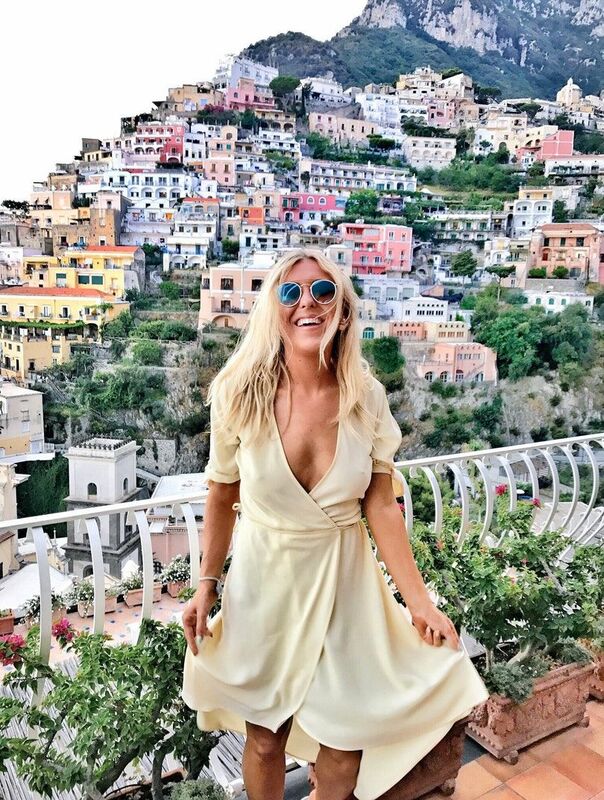 I sat in talks with some of the top global full-time bloggers and Instagrammers, as well as savvy business owners. I got all the top tips from industry experts and insiders and my brain is bursting with ideas and positivity. If you follow me on instagram @emshelx you’ll have probably seen some behind the scenes from my weekend at RSTheCon and I also tweeted out (@emshelx) some top tips I learnt. I'm fortunate to receive many emails on a weekly basis from people asking for blogging tips and tricks, because of this, I wrote a huge blog post with my top how to be a blogger / social media influencer tips. I thought it would be a good idea to write down 12 of the most important things I've taken away from the Reward Style blogging conference in the hopes that it helps you, if you are either a business owner, a freelancer or someone who wants to be a blogger/influencer or even if you just work in social media. I'm using the word influencer in this article but I know some prefer content creator, blogger, etc. But for ease, stick with me haha. A lot of this isn't just influencer specific, you can really take these tips on board for all lines of work. Disclaimer: this isn't me saying there is a wrong or a right way to run a business/build your brand/be a blogger/influencer but you may be able to take something incredible away from it, like I did. Get cosy, get your notepad out, it's time to get inspired. Here are 12 things I learnt from the Like To Know It influencer conference. 1. It really isn't weird if you want to be a blogger, it is a fully fledged career now - If you read my 'is blogging a full time job?' post, you'll know this is something I've already addressed and I was happy to see Amber Venz Box talk so honestly about this too. Our talk at the conference started with the co-founder of LikeToKnow.it (an app where you can easily shop influencers wardrobes, it's a game changer, come follow me here if you love shopping bloggers outfits), powerhouse Mum, blogger and entrepreneur, Amber Venz Box. She laughed as she talked about the evolution of the iPhone and how back in 2011 when the first bloggers started, they wouldn't have ever taken a photo on their phone. This was only 7 years ago so shows how much the landscape has changed in such a short space of time, now we swear by our iPhones for Insta shots and Insta stories, in fact, every photo on this post? Taken on an iPhone 7, I don't usually do blog photos on my phone but all my Insta images are iPhone 7. She laughed as she talked about how people thought bloggers were 'weird' back then and now, everyone's doing it. I remember being ridiculed in college for having a blog, people would literally shout 'haha a day in the life of Ems' when I walked into my 6th form corridor but, I continued it and I'm so glad I didn't let those people stop me. Amber talked about brands who didn't understand the value of blogging back then but reported that in 2017, 86% of brands employed influencer marketing, with 39% of marketers planning to increase their influencer spend. This is huge and as Amber herself said, brands are finally starting to take our industry seriously which is so exciting. No longer is a blogger seen as 'weird' or 'selfie obsessed', they're ladies who are bringing out books, makeup ranges and inspiring the masses. It's incredible to see and there are some seriously powerful ladies and men killing it. 2. Social networking and blogging are only going to grow - In 2011, consumers were using the app store but in 2017, consumers spend an average of 5 hours per day on mobile devices with more than 90% of that time spent in social apps. Now, from a well-being point of view, I know this isn't good. I try to limit my scrolling for my mind, if I scroll and see negative stuff or indirect stuff, it has the ability to totally ruin my day (hence me unfollowing anyone who doesn't fill me with good vibes, life is too short to see Sandra's indirect tweets about Rita). However, if you are someone whose job is social media, it's good news that so much time is now spent on these platforms and shows how much we love social media. I personally prefer to shop on desktop but according to reports, 30% shopped on mobile in 2014 in comparison to 69% in 2017 which is crazy and shows the power of the online and, the phone. One common theme that came up throughout the conference? Blogs. Amber noted that this 'new wave' of influencers tend to only have Instagram, however, this isn't always futureproofed and we need to be careful. You shouldn't put all your eggs in one basket and your blog is truly the only thing you own and not controlled by an algorithm which controls how much reach you get. Be mindful not to solely rely on one platform for your business. This goes for so many industries, so many people used to rely on Facebook for marketing and then the algorithm hit and they have no organic reach now. 3. Don't let algorithms get to you - I'm so glad Amber touched on this topic, she made me realise I'm not going mad. We all talk about the Instagram algorithm but how many of us actually understand it? Or understand why there is an algorithm? Instagram was the first mobile social platform and in 2014 it had no algorithm. As so many women at the conference said, they were literally waking up overnight with so many followers back then. Today, that really isn't a thing. Amber explained that when a platform hits a certain amount of users, usually investors demand monetisation, how do they do this? They charge their users or, charge for ad space. We've seen Instagram saying: 'pay X amount to reach more people' which is basically their way of saying, you need to pay to reach your organic audience now, we've capped your reach until you pay. Monetisation = algorithm. Amber explained it in this way, you have 88k people who have opted in to see your posts and follow you, and then a platform says, 'okay great we’re gonna show it to 10k unless you pay us'. When you are used to having one reach and no longer have it, you are frantic to find it. So that’s when a social platform can start charging for reach and distribution and that's why so many brands pay the likes of Facebook for ads. Amber said she is asked all the time 'why is it that overnight I'm losing followers?' and explains it is the life cycle for monetisation and of course, these platforms deserve to and need to make money but we can't harness our happiness to an Instagram algorithm. The issue isn't you, or your content, sometimes, it really can be down to an algorithm which can be soul destroying but as Amber also said, 'you cannot depend your happiness on other people. Don’t let Instagram likes make you unhappy. It can mess with why you started in the first place' and in my blogging tips and tricks post, I did say, if you start a blog to make money from the outset then, in my opinion, you've already failed. We started because we had a passion, we didn't even know this could become a career. 4. Don't stop posting - If you are struggling with the algorithm, the ladies told us not to stop posting. The majority of us have been there (if you haven't please send some magic our way) and we've felt like giving up but if growth is stagnating on a platform you love? The answer? Amber says is to continue to leverage the reach that you have built everywhere you have built. This is why we shouldn't put our eggs in one basket and you should absolutely leverage it in order to drive growth in other platforms. But also, hopefully the below will show you that it isn't about numbers anyway. 5. How to work with brands - Something us bloggers don't talk about much is how to work with brands. I wrote a really long post about blogging and sponsored content because I find us bloggers get a lot of stick when we do work with brands so I hope that answers any questions you may have. As a full time blogger, I think I speak for us all when I say we need money to pay the bills/hire photographers/pay for editing software/camera/lighting/laptop etc and therefore, can produce high-quality organic content for our audiences to enjoy for free, without charging for it like a magazine for example. Ultimately, the majority of us know we do this because we hav a passion and falling into this as a career is just a total bonus, anyway, that's another topic for another day. If you are an influencer wanting to work with brands, here's what I took from the brand chat. We basically sat and listened to a Q&A with some of the biggest, global brands and here's a little bit of insight for you. - They work with influencers during a key moment whether its key campaign or milestones, eg, Christmas, Valentines but 2 years ago this wouldn’t have been the answer, now influencer marketing is always on and it’s so important to brands who are adopting it. - When working with a brand, having the right look and feel still does play the part but having access to data is a more recent thing to back up decisions. - Outside of data, brands are sometimes looking for a unique point of view, there's so much content and because there's so much it is good to have an identity that's your own. Be you, you really are your niche. Whether that's photography style or personal style. Brands are looking and talking about influencers and when you see someone who is totally different it has an impact. Revenue: How can we justify the dollars brands put towards you? - Does it excite their community? Brands are open to working with influencers, as long as their audience is engaged by the product but they want to see genuine sentiment and excitement about working with the brand. - Brands like Instagram and YouTube as they're interactive. 6. 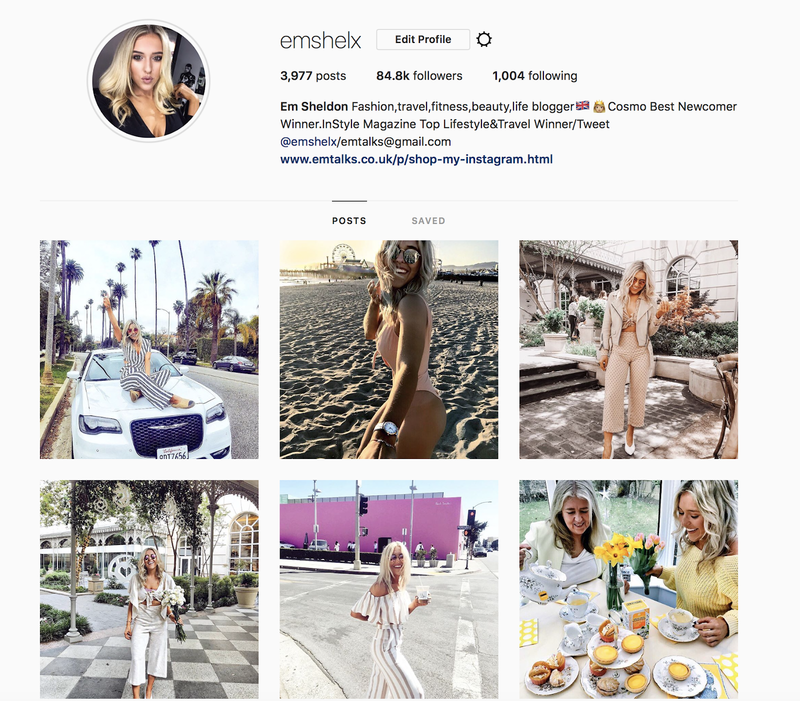 It isn't always about numbers - We talked about the rise of the micro-influencer, which generally means anywhere from 1k followers to 200k followers (totally depends on which brand and who they see as micro). They said there's a huge opportunity for micro influencers. The difference between micro-influencers and macro-influencers though? With macro influencers they said it's more guaranteed and the reach is amazing, usually it will be a longer relationship. With micro-influencers they said they tend to see so much success as usually there's more buzz around a product plus it's all about being seen on the right people sometimes, rather than making instant sales there and then. Brand recognition is important. Excitement for their brand is important. 7. Being real - We sat in to listen to a conversation between Amber and Aimee Song. Aimee talked about the importance of being real. She said she would take perfect images and portray a perfect life but she wasn't happy. She said having a 'goals life' on Instagram doesn't necessarily mean happiness and keeping up a 'happy facade' isn't real. We are all human and this business does not mean happiness, there may be trips and cupcakes and 'freebies' but it's hard work. Aimee said: Your success here is one piece of who you are but it isn't all of you. I realised through listening to this talk that actually, it's important to be real, people may not like you, but stick with the audience who do like you, for you, rather than a facade. 8. It's okay to ask for help or hire a team - Bloggers get a lot of stick for 'hiring teams' they're slated for losing relatability but these women have built such a huge empire, they need some assistance to help with thousands of emails per day and creating such high-quality content. So many women at the conference talked about how scary it was hiring their own team as they wanted to remain in control of their business and didn't want to delegate but what an incredible position to be in. You have built a passion and hobby in your bedroom and now need a team. Aimee said people think our job is easy but that's a compliment because it means we make it look effortless. She said the most important piece of advice she has is to hire people who are smarter than yourself: people who can teach you stuff rather than people who look up to you and she said once she did this, she could really focus on her content creation and growing her business. She said it's important to hire a team of giants. That way, your team are more flawless than you when you’re away so you can actually take time off, as we all know, running a business is 24/7 but she says it's well worth investing in smarter people who can truly help you. I think the most important thing about hiring a team is knowing that it doesn't take the business away from you, it just helps you, eg, with admin so you can use your time to be creative and make content. 9. No is merely a suggestion - I sat in a talk with Kendra Scott, an incredible, homegrown entrepreneur with a billion dollar business. She told us about growing her business into a billion-dollar brand from nothing and her advice inspired me so much, as well as everyone else in the room. She said 'no is merely a suggestion'. 'No is easy, what’s cool is when you can turn that no into an ON'. She heard no a million times but it gave her a fire in her belly. She said to use all of the 'no no no' you hear as the fuel in your fire to go home and take it up a notch: when someone says you cant do it. Prove them wrong. This is something I have always believed in. She was a single Mum and said failure was not an option, it really was all in her mindset and having a tenacious, strong attitude can really take you far. She actually shifted the focus from her buyers (she would send them cupcakes so they noticed her) and started to focus on her customers and building a strong community. The business has taken her 16 years to build, things like this don't happen overnight and we all have struggles, she said when looking back at bad moments, so often we had to go through that moment or struggle so we can cross the bridge. 10. Be unique - 'If you're doing what everyone else is doing, you've already failed' - Kendra said you have something special that no-one else has. It’s so powerful and that’s whats gonna set you apart. We have a unique fingerprint, use it. Ask yourself, how can I be disruptive? Don't be afraid to throw something up against the wall and it may not work but it might, it could work. It's about not been afraid to try. 11. Know your audience - Kendra Scott built a brand based on core values. She said in any business it's important to identify what is important to you? What matters to you. She talked about the short time we have and said 'we have an opportunity to make an impact, to use our voice for good. The more we gave the more that would be success for Kendra Scott.' Family, fashion and philanthropy are her brands values. Ask yourself: What are my core values? Who is your girl? Who is your audience? 12. ‘You do good’ the foundation of everything we do - The last thing that really stuck with me is the 'you do good' mentality. I'm a strong believer in lighting each others candles rather than blowing them out. A flower does not compete with the flower next to it, it just blooms. As Kendra said 'The more we help each other the stronger we will be', we are not fighting against each other but against the world. 'Learning and innovation go hand in hand. The arrogance of success is to think that what you did yesterday will be sufficient for tomorrow'. Let's stop competing and start helping each other, let's stop worrying about numbers and focus on the brilliant audience or if you're a shop, customer base you do have. A number doesn't define you. Remember why you started. Create wonderful content, leverage the reach you do have and mainly, use 'NO' as the fire in your belly. So there we have it, a few of the top things I learnt from my time at RS The Con, the Reward Style annual conference in Dallas. I hope these will help you whether you own a brand, want to start a brand, are a blogger or just in your place of work. I have also written a blog post with a list of easy SEO tips and things to help make your blog and website traffic higher. I hope you will find this useful too! Come say hi on Instagram @emshelx and let me know your thoughts on this post.